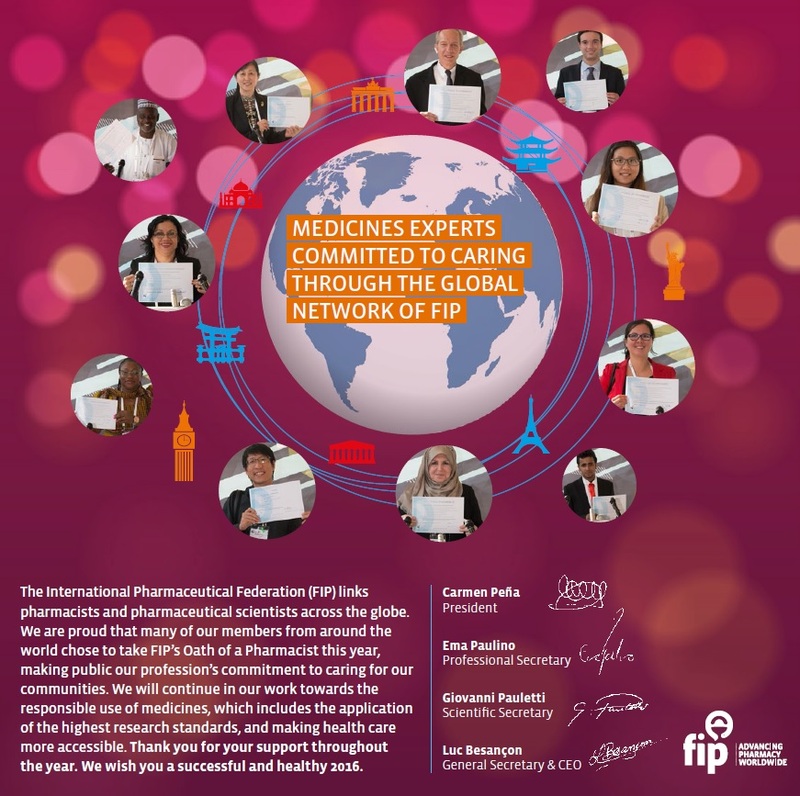 The International Pharmaceutical Federation (FIP) links pharmacists and pharmaceutical scientists across the globe. We are proud that many of our members from around the world chose to take FIP’s Oath of a Pharmacist this year, making public our profession’s commitment to caring for our communities. We will continue in our work towards the responsible use of medicines, which includes the application of the highest research standards, and making health care more accessible. Thank you for your support throughout the year. We wish you a successful and healthy 2016.